Today, the adoption agency AC International Child Support submits its report on the cases that led to the suspension 10 January. The agency has received unexpected help in the process, hundreds of couples waiting anxiously for clarification. 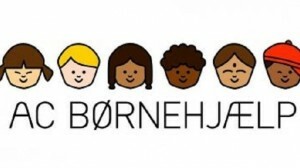 Twelve days ago social, child and Integration Minister Annette Vilhelmsen (SF) announced that the adoption agency AC International Child no longer may implement new adoptions. The reason was rooted in the financial administration and the agency could until today make a statement to the Appeals Board, so that the suspension will not be made permanent. On 10 January there was not much fighting spirit in the office. It wil proberly take a lot, for the suspension to be lifted, said næstormand Jens Hørlück. But perhaps there is still hope ahead for the more than 400 couples who currently stand in line at AC International Child Support and will need to start over the whole adoption process if the suspension would be made permanent. AC International Child Support has been given the assistance from an unexpected quarter. The Social Development Fund, which operates a number of social residences around the country, has offered its help to formulate the answer that is to be delivered today and which will play a major role in deciding AC International Child Support’s fate. – We have extensive experience in the management of the Ministry of Social Affairs and manage social services. We heard about AC International Child Support’s problems and thought that we could help them, the more than 400 Danish families who dream of having a child and especially vulnerable children abroad, which can have a better life here, says Michael Hansen, Chairman of the Fund. The Social Development Fund is a non-profit foundation that does not need to make money and will voluntarily work with AC International Child Support. In the last almost two weeks, they worked together to prevent a permanent suspension of the adoption agency. – We have formulated a plan for the recovery of AC International Child Support, so we can prevent them from getting into this situation again, says Michael Hansen. – The problem stems from poor decisions taken in both the daily management and the board. We therefore need to put together a new board, which can manage the finances in a more professional manner. The Board will, among others, contain Michael Hansen himself who will act as chairman in the coming year. Today they handed in the exposition so within a few days the Appeals Board will determine whether AC International Child must be allowed to resume their work with the help of the Social Development Fund. – AC will remain an independent company, but we will of course put our fingerprints, at least in the coming year. We will help to put the new board together and bring new people and professional resources to ensure that management can and will make the right decisions in the future, says Michael Hansen. But all that will mean nothing if the Appeals Board does not find the statement strong enough to lift the Ministry of Social Affairs’ suspension. One of the approximately 400 couples who would be turned back to the start if AC International Child Support’s suspension becomes permanent is Trine Vetter and Brian Andersen of Viborg, who are on the waiting list at the adoption agency. – It is emotionally hard to have to wait to know if our adoption will go ahead. It’s something we talk about every day and even if we do not talk about it, it is something that is on our mind all the time, says Trine Vetter.